The latest installment of ArtScopeTO features an interview with photographer Lori Ryerson, whose work is showcased under thematic banner OFF THE BEATEN PATH at Toronto’s Urban Gallery, 400 Queen St. East, from April 6th to Sat. April 27th, 2019. 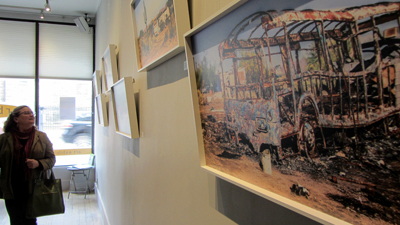 Ryerson has a particular fascination with landscapes featuring abandoned vestiges of human activity, or remnants of vehicles resting in the most unlikely surroundings, and like a painter, there’s precision, detail, composition, and a careful use of colour – images which can be seen in the gallery printed on paper, canvas, and shimmering metal. 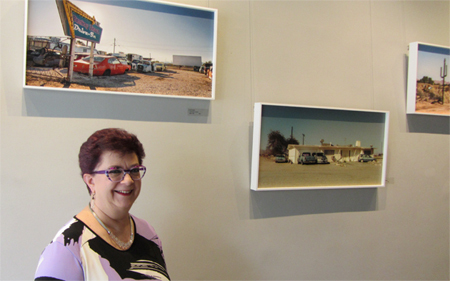 Photographer Lori Ryerson and a trio of portraits from the Salton Sea. 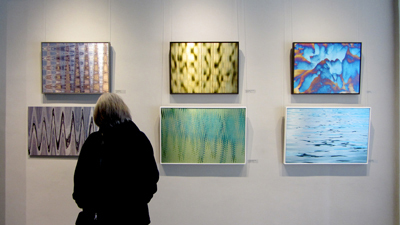 Abstract photographs mounted on metal sheets. 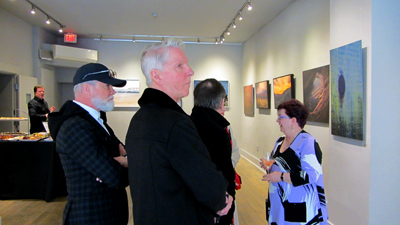 Photographer Lori Ryerson at The Urban Gallery, Toronto. 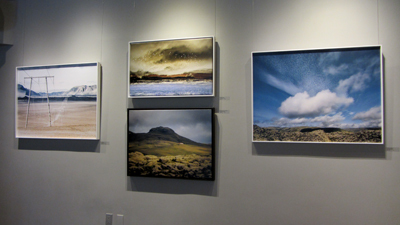 Lori Ryerson’s images from Iceland on canvas. Images from the partially derelict Salton Sea area. Our conversation covers her transition from the corporate world to the art world, her travels, favorite photographic subjects, and the podcast is up on GooglePlay, iTunes, Libsyn, SoundCloud, Stitcher, YouTube [to follow], and a visual version on my Instagram IGTV channel. My next composer podcast featuring John Murphy and his music for the 2018 BBC production of Les Miserables will be up in 2 weeks, and coming shortly is a review of Severin’s Jack the Ripper (1958) Blu-ray, followed by Twilight Time’s Bedazzled (1967).